Gift giving season is upon us. 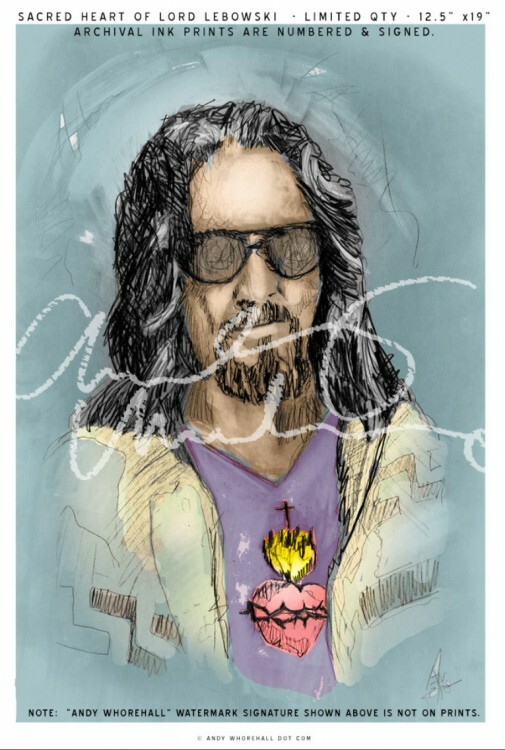 What not better than a limited Sacred Heart of Lord Lebowski archival ink print from my online store? Only 30 were made and a few have sold already; very limited, sized 12.5″ x 19″ on linen. These are first edition prints, signed, numbered, sealed, shipped flat, secure and with insurance. Click here to learn more. 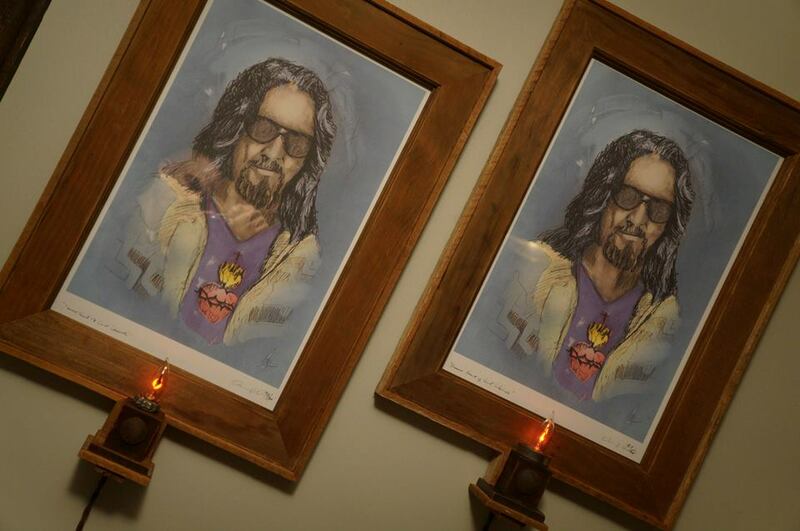 Custom framing is also available at an extra cost and service from Mainfraim.com. Photos of Mainfraim’s work that they produced with two Lord Lebowski prints purchased from my online store are included on this page. 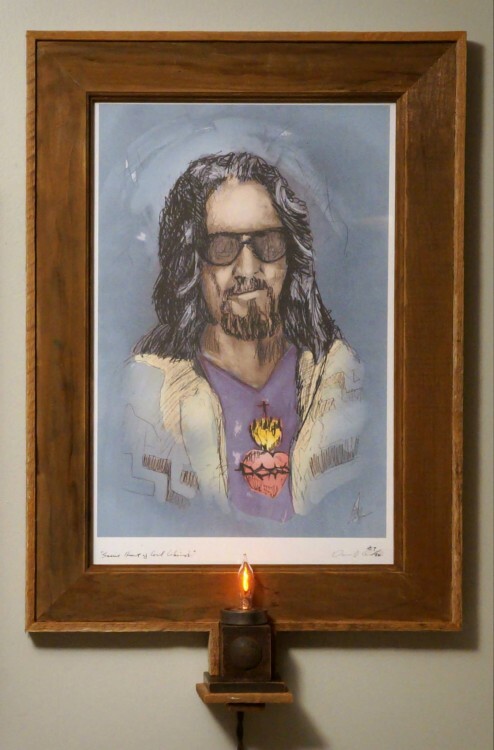 Click here to visit Mainfraim online if you’d like to custom frame a Lord Lebowski or anything you may have in your own collection that needs special love and protection for hanging on your empty, cold walls. Feel free to contact me with any questions by using my main site navigation. Remember to be kind to kind people and horrible to horrible people. Note: The original 15″ x 20″ graphite illustration of Lord Lebowski is not available and belongs to a private collection.